What are the best PS4 local multiplayer games? While many titles offer great online experiences, nothing quite beats local multiplayer together with friends and family in the same room. Finding the right game can quickly turn four best mates into mortal enemies, or turn the group into a hysterical mess of laughter, screams, and joy. Luckily, the PS4 has enjoyed a bountiful resurgence of such titles. From stone-cold classics to utterly unique hidden gems, here's a list of titles to play with others that'll get everyone leaping out of their seats with excitement. In this guide, we're looking at both competitive and cooperative offline multiplayer experiences, but if you're specifically looking for the Best PS4 Co-Op Games, you can find our list through the link. 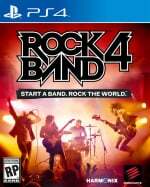 The music game boom may have died faster than rap metal, but there’s no doubt that Rock Band 4 is still a great co-op experience. With the multi-instrument format lending itself brilliantly to extended party sessions, and an enormous catalogue spanning hundreds of bands and genres, this remains the best multiplayer musical experience you’ll find on the PS4 right now. This crazy, chaotic dodgeball game seemed to come out of nowhere in 2016, offering up a fast-paced, grin-inducing spin on the sport. Up to four players can duke it out in teams or in free-for-all as they aim to smack each other out of a selection of unusual arenas. The controls are very simple but there's just enough nuance to keep things competitive, and the whimsical presentation will keep the laughs rolling. The first game laid down an incredibly solid foundation of frenetic fencing mixed with tug of war, but Nidhogg 2 adds a sprinkling of extras that make it even more entertaining. 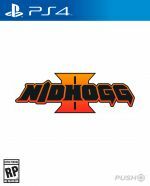 With a striking new art style, lots of new weapon types, and a much larger roster of levels to fight through, this sequel has plenty to keep you busy. Face off in one-on-one duels, or use the tournament mode to see who among your chums is truly worthy of being eaten by a giant sky serpent. Be sure to give this a try for some unique, compelling multiplayer. 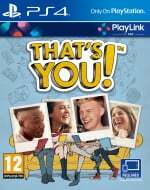 Sony has been making a concerted effort to make gaming more accessible with its range of PlayLink titles, and our pick of the bunch is That's You. Using smartphones as controllers, a group of players is asked questions about each person, naturally leading to some hilarious outcomes. You'll also be snapping selfies, drawing on each other, and second-guessing your opponents as you strive for victory. A great multiplayer title for the non-gamers in your life. 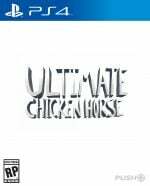 How can you go wrong with a name like Ultimate Chicken Horse? This is a 2D platformer with an ingenious twist -- you build the level as you play it. Laying down traps and obstacles may slow your opponents down, but you'll have to navigate them too if you're to win. There's a great sense of strategy to this title that balances perfectly between careful planning and royally screwing everyone over. I stopped reading after Towerfall. That's the best local mp game on the system, everyone knows it. Good, varied list of games. @Kidfried agreed, me and my sons always have a couple of rounds of towerfall every weekend. We also like the spulunky deathmatches but we hope spulunky 2 expands on the 1st. For my son and I its all about Borderlands 2. Kinda surprised Mutant Football League didn't make the list. Missing a fighting game, either injustice 2, tekken 7 or sfv. Playing tekken 2 wasted with my flat mates in my uni days was some of the best fun ever!! Guacameele doesn’t even make the top 20? That’s just not right. Just what I needed! Defs missing A Way Out, it's one the best co-op experiences out there! Black and White Bushido is a decent little budget game, Plants v Zombies GW2, Lego Worlds, Marooners, Frantics, Disney Infinity, Minecraft, Speed Runners is great. There's loads out there. Fat Princess is a good coop game. Its a simple and fun ARPG. I was wondering where Towerfall would land. The best in my book! Why no Lovers in Space? Great local co-op that was once a free PS+ game. Had awesome fun with the whole family with that one. I find COD WW2 to be a lot of fun splitscreen with my partner. We either play 1v1 local or we play splitscreen online. My partner who isn't a big gamer enjoys it so much she requests to play it nearly every day. Stikbold! only gets #19? That game is easily top 3. Author needs a slap! A really cool list. Especially Rayman Legends! It's funny as often it's easy to forget about some of the local multiplayer games there are on PS4. Good work putting the list together! I haven’t saw the full list but I’m going to look at it. I’m not the biggest fan of online games anymore, I want to play in the same room. Sad to see lego worlds or lego marvel superheros not mentioned. I've played those most with my daughter. I'd also give portal nights and honorable mention. @Gremio108 That 1 is really a coöp game in singleplayer its gers boring fast.